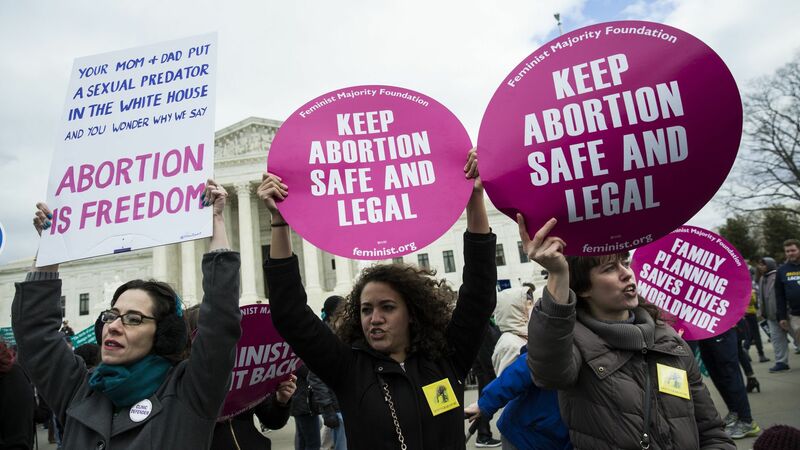 Forward Majority, a Democratic group focused on winning back state legislatures, is targeting at least four Republican-controlled states to uphold women's reproductive right in case the Supreme Court votes to overrule Roe v. Wade. Why it matters: 2018 is not just about the national races — the group is pushing Democrats to focus their efforts at the state level, arguing that if Dems can break any of the states' GOP trifectas then they'll be able to avoid efforts to criminalize abortion. Yes, but: There were 14 states that passed stricter abortion laws in 2016 alone. Republicans control both chambers of the state legislature and the Governor's office in a majority of the states. The state of play: Forward Majority is targeting Arizona, Wisconsin, Michigan and Florida. The group identified anywhere between three and 19 state assembly seats Democrats need to flip in order to win at least one chamber of the state legislature. The bottom line: Democrats are thinking ahead and working to "transform the landscape for women's reproductive rights in a post-Roe world," the group's report says. Go deeper: How both sides view abortion as an election issue in 2018.